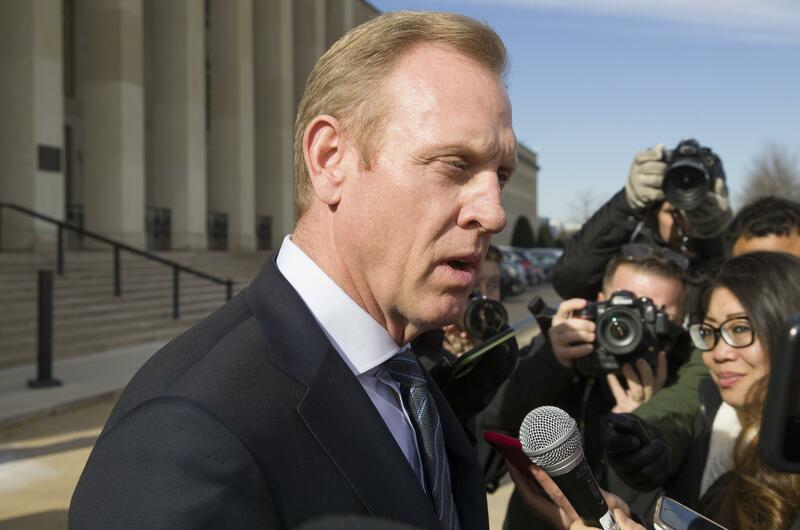 UPDATED: Tue., Jan. 29, 2019, 5:24 p.m.
WASHINGTON – The U.S. will be sending “several thousand” more American troops to the southern border to provide additional support to Homeland Security, Acting Defense Secretary Pat Shanahan said Tuesday, providing for the first time new estimates for the next phase of the military aid. He said the troops will mainly be used to install additional wire barriers and provide a large new system of mobile surveillance and monitoring of the border area. Plans call for about 150 more miles of concertina wire placed mainly in the gaps between ports of entry. It’s still not clear how many of the roughly 2,400 active duty forces currently working the border mission will go home and not be replaced, but the Pentagon estimates that the total number of forces deployed there over the coming months will exceed 4,000. The Pentagon has approved an extended U.S. deployment to the border through the end of September. As of Tuesday, officials were still working out exactly how many forces would be deployed and what units should be tapped. Shanahan’s comments came as members of the House Armed Services Committee grilled top defense and military leaders about the border mission, demanding details on its impact on military readiness and whether needed training and other jobs were not being done as a result. He also said that the estimated cost of deploying the active duty personnel through the end of this month is $132 million, and the cost of deploying about 2,300 National Guard members to the border last year was $103 million and is estimated at $308 million for this year. Lawmakers said they’ve been told that troops remained at the border after they had finished their missions and had nothing to do, and that many were spending time playing sports or watching videos. Gilday acknowledged some trial and errors as the mission progressed. Officials said that the majority of the troops going to the border now will be combat engineers and support forces who will install the additional barriers. The expectation is that they will complete the job in a few months and then be able to go home. Many of the others will start the expanded surveillance mission which will last at least through September. The U.S. forces will use Customs and Border Protection vehicles that have mounted surveillance cameras and they will monitor the border. Troops are not allowed to do any law enforcement duties, so they can’t detain migrants crossing the border. Instead, when they see suspicious activity they will alert CBP agents, who would then deal with any migrants involved. Published: Jan. 29, 2019, 11:43 a.m. Updated: Jan. 29, 2019, 5:24 p.m.